19th century French oak refectory table with elegant cross braced table legs and corbel supports. 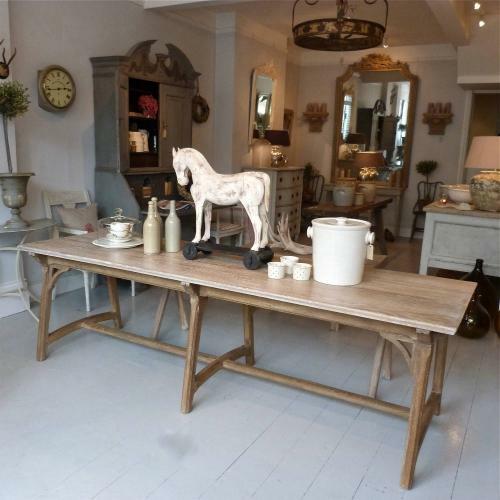 This 8ft long table would make a great dining table, kitchen table or full length wall console. Circa 1890.